It’s easy to differentiate if you use numbers names and details because all of yours differ from all of your competitors’. In the greater scheme of things, your products or services are similar to competitors’. But, in the finite scheme of things every competitor is different – different people, different number of installations, different sizes and shapes, different services, different locations, different customers, etc. 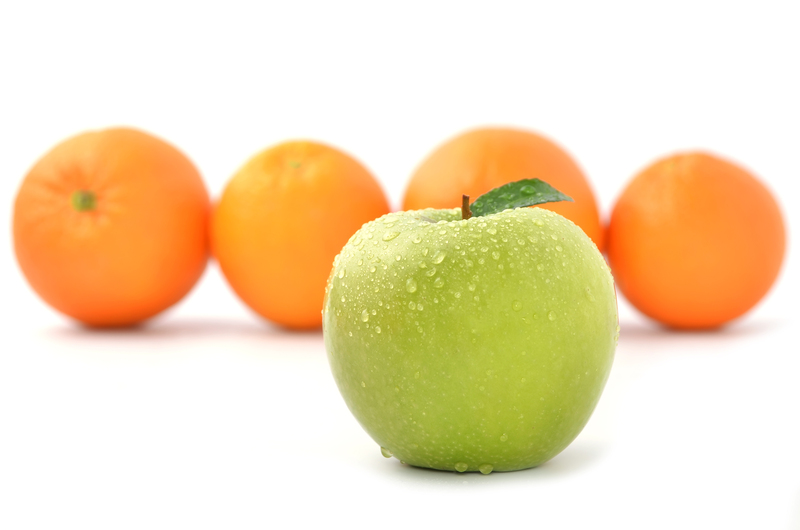 However, differentiating is not what closes a sale. Showing you’re the best alternative of the various choices does. Best is decided by the ultimate decision maker and those that influence him or her. Best does not mean the most different. Best means showing the capability to deliver what’s desired better than the others. The key is to learn by interviewing what the ultimate decision maker wants and what his or her subordinates want – which are very often different. Then show each of these people your competence in their desired results using numbers names and details in your presentations. Sales people tend to give the same presentations to all involved. To compound this error, they also tell why their company is different or better than competitions based on their own propaganda. For example, their company may be national. But if the buyer is looking for someone local, that differentiator is meaningless. If your differences don’t address each person’s personal issues, desires and/or concerns, the differences are not worth pushing – even if you think they should matter. If you don’t apply your difference to the desired criteria, the buyer will disregard them and lean towards the seller that shows competence in these desired areas. A client recently told me he was having trouble getting to CEOs. But if he could get in front of CEOs, he could show why his company is better than competitors. I told him that if he tried to learn what each CEO desired, he wouldn’t have trouble getting to these CEOs and winning them over. Buyers don’t care that you’re different. They care about getting what they want and how your difference assures them you’re competence to deliver it. You show competence using numbers, names and details, which by the way are different than your competitors. 1. Pick an executive you’re working with and describe one thing – desire, want solution, etc. that she told you she needed or wanted. Write 35-50 words describing her vision of this point. For example, she wanted a lower price solution. What did she mean by “lower price”? How much lower? What’s she comparing the price to? What has to be included? What can be eliminated? What’s driving her thoughts? What will she pay extra for? If you don’t have the information to describe in detail, go back and interview her. 2. Prepare your presentation to cover only the elements she described to you. If you feel she should be interested in other features, you should have exposed them during your interview. If you didn’t, call her now and ask if they might be important to her? 3. Make your presentation full of numbers and details, i.e., 10% saving every year for 5 years, based on 20 people at 80% efficiency; we’ve done this for 4 customers, ABC, AYZ,… within 20 miles of you. Avoid generalities, such as, we’ve done this for many customers like you in the past. Numbers names and details are your differentiators. They also make it real and memorable. More importantly, they show competence. 4. Research everything you’ll say so that you can “Prove It” if she were to ask for proof, i.e. saving her 10% every year for 5 years. Now suppose she says, “Prove It.” How will you do it? Possibly show calculations; take her to a similar customer. As you prepare to prove every number or detail you’ll develop the confidence to say it with passion in your delivery. This goes a long way towards credibility and believability. Consider a sale you’d like to close. 1. Do you know what the top executive wants from you and your company or are you assuming you know? Have you confirmed it with each executive in the past 90 days? If not, how will you set a meeting to discuss? 2. How is the top executive’s desires different than those who influence him or her? 3. How will you prepare for the presentations to show you can fit your solutions to what this top executive and each subordinate wants and values? Where will you gather your numbers, names and descriptive details? Who in your company knows this information? Bottom line: (1) Showing you have competence using numbers, names and details will differentiate you. (2) Tell ultimate decision makers and the people that influence them how you can deliver what they tell you they want, not what you think they should want, using numbers names and details. Otherwise someone else will make their offering look more attractive.